Students First. Designed for student success, Feldman provides students with a powerful learning framework to help them connect, engage, and feel excited about psychology. 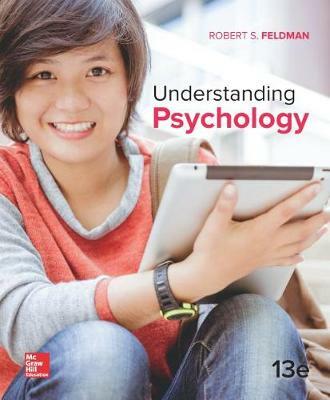 Using a revolutionary revision process, Understanding Psychology is a fully integrated learning system that brings the "Students First" goal to a new level. With the adaptive learning program, SmartBook(TM), every student has a unique experience personalized to their needs.The new edition has continued to use the "HeatMap" technology to advise the revision. Systematic and precise feedback from thousands of students was anonymously collected using LearnSmart(TM). Because virtually every paragraph in the previous edition is tied to several questions students answer in LearnSmart, the author was able to see where students struggled most...the "hot spots"...and in turn refine and update these areas to be more clear, more concise, and more impactful. The 13th edition continues with Feldman's accessible pedagogy and hallmark research, as well as his modules-within-chapters format that is both manageable for students and allows every professor the flexibility to assign and cover what they want.